Power availability, reliability, quality, and management are essential in addressing the numerous challenges that come with ensuring uninterrupted building operations for buildings of all types. The need for operations insight, analytics, and optimization is essential to facility managers and operational staff as real-time energy-usage tracking, energy accounting, and system efficiency is constantly monitored to ensure their buildings are running as smoothly and efficiently as possible. Significant benefits such as maximized energy efficiency, improved productivity, and cost savings can be realized virtually immediately with the right solutions and software in place. This is precisely what set the stage for a story of efficiency success in Australia’s world-renowned sports arena, Melbourne Cricket Ground. When we think about critical buildings, we tend to think of hospitals, data centers, pharmaceutical laboratories, or airports. A sports arena isn’t top of mind. Continuing to break records, MCG is also now a pioneer of energy efficiency and the Internet of Things (IoT)! This fantastic venue invested in a hybrid solution, stored in the cloud, to achieve a range of key connected goals in sustainability, savings, efficiency, power availability, and beyond. 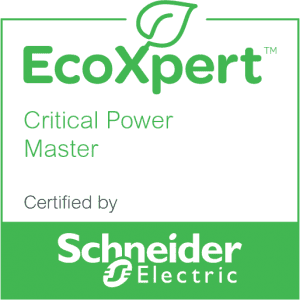 Now, meet Critical Power Master EcoXpert™, AZZO Pty Ltd., the expert solution provider who made it all possible by implementing Schneider Electric’s IoT-enabled EcoStruxure™ Power architecture. AZZO’s master-level status is recognition of their expertise and ability to deliver Innovation At Every Level to take power management, building optimization, and energy efficiency to the next level. 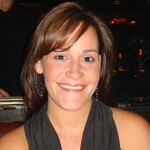 Our EcoXpert master partners are best-in-breed and proficient in deploying the EcoStuxure architecture and platform. This “home of Australian sport,” as MCG’s Operations and Contracts Manager, Marshall Holding, calls it, is a prime example of a converging building technology reality with IoT applications and advanced data to ensure power quality for fans and stakeholders; track consumption of energy, water and gas; and reduce energy costs and usage to minimize environmental impact. All of this, thanks to Schneider Electric’s EcoStruxure architecture. Dating back nearly two decades, Schneider Electric has a long-standing history with MCG, leveraging a power monitoring system and C-Bus to power the massive lighting automation system of the facility. 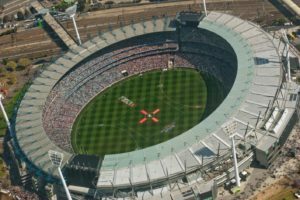 However, now the Melbourne Cricket Ground has embraced the full capacity of IoT technology through AZZO, who delivered and installed a full-fledged Utilities Monitoring and Visualization System (UMVS). Partnering with Schneider Electric, AZZO’s engineering director, James DiLiberto, explains that the system essentially is a hybrid IoT cloud-hosted portal for power monitoring, energy modelling, water and gas tracking, power quality analytics, and real-time cost modelling – in addition to cost center creation for real-time optimization, billing simulation and verification, historical benchmarking, and sustainability KPI alarming. Additionally, the UMVS is integrated into the local lighting control and EcoStruxure Power SCADA Operation systems, which could even lead to more possibilities. The system has been running for a year and the results don’t lie: it hit the mark for all stakeholders! For DiLiberto, this is the IoT revolution in practice, starting at the MCG. Yet, it’s also the IoT revolution at work in the fast-changing world of large and critical power buildings, energy management systems, building management systems, and facility optimization overall. The UMVS project, through EcoStruxure Power, enabled AZZO to add water and gas to the arena’s electricity monitoring. Moreover, as the platform is cloud-hosted and offers real-time monitoring and visualization of all systems, it allows for tracking the cost of running the facility during any live event. In just one year, this has resulted in a five percent savings in specific areas of facility operations. And, there is more. Today, the operations crew can gain real-time insights into the actual energy usage in an effort to reduce costs and achieve the goals envisioned with the UMVS. With the highly-connected system, the reduction of energy costs and improved carbon footprint is the end goal. This makes the Melbourne Cricket Ground a champion among champions with an environmentally-friendly stadium, boasting a dedicated sustainability team to include Master EcoXpert, AZZO. Fans can rest assured that efficiency is on, and Life Is On, at the MCG in the most sustainable way. It’s exciting to think about the other record-breaking advances the arena’s future will bring! Watch the video to dive deeper into the MCG efficiency story. Then, read further to get the perspective of James DiLiberto on how being a Master EcoXpert partner helps to enable AZZO’s success. Have you considered becoming an EcoXpert and joining the IoT revolution? Check out what the EcoXpert Partner Program can offer so you can turn your customers into fans too! Give us your thoughts on this very impressive, super cool project! Leave a comment below.